I'm based in London, Hackney E5. I build online experiences for the modern business. LexisNexis is a leading global provider of risk management and analytics solutions. 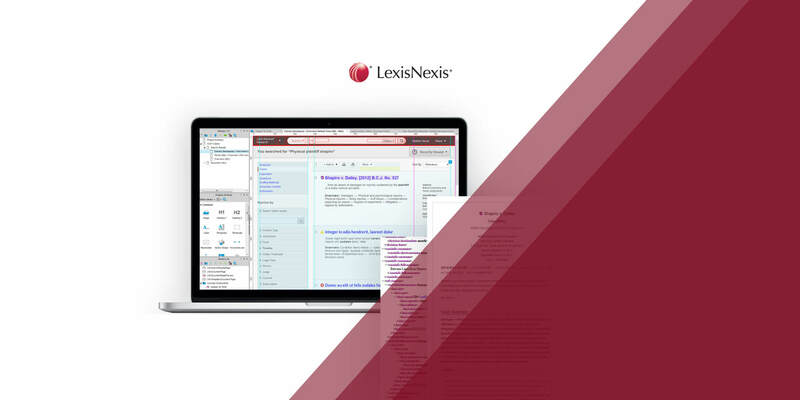 Through its products, LexisNexis helps professionals verify identity, prevent fraud, comply with legislation, facilitate and secure commerce, and support law enforcement (wiki). I’m working for LexisNexis since October 2013 as UX & UI Designer Consultant in the Content User Experience team which is part of the Global CDI/UX Department. I’m part of a team who is passionate about content design and believe all content should have an intuitive, simple and beautiful design that provide users a pleasant experience each time they visit. We support LexisNexis’ global content strategy by creating document UX artefacts and wireframes. Some screenshots of works I’ve been doing at LexisNexis. Axure for Wireframes, Hand writing codes in HTML/CSS to deliver content mock-ups within the LexisNexis product suite that meet the users’ needs. My technical task is to produce Search Result listing Wireframes, analyse the data and markup tags on the XML files to support business and functionality requirements. WebEx or Lync ‘Wireframes presentation’ also required for clients across the globe.